Remix OS is a Free portable operating system based on the Android. unlike Android which is designed for mobile devices, this OS works like Windows or Mac. Android-x86 Project - Run Android on Your PC is a project to port Android open source project to x86 platform. Remix OS is built on this project. 1. Download the installation package (zip file) from this page, you will have to accept “I am a developer and have read the above message.” as this is an alpha version. This is an alpha version intended for developers and early adopters who don’t mind a bug or two. Android was designed for touchscreens and as there isn’t a touchscreen on most PCs, we want you to be aware that apps may perform differently. We’re asking for developers and testers to help us optimize Remix OS for Android PCs. 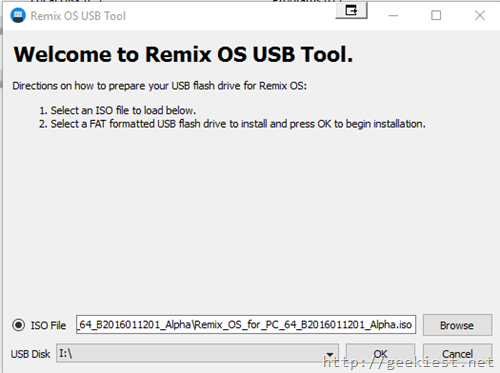 That’s all Remix OS will be ready on your Flash drive. 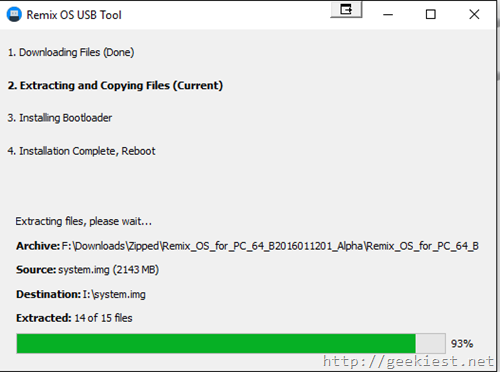 Boot from the USB drive (Use F12 key while booting up to select the boot device) and you can select either Guest mode or resident mode to start the OS. The Remix OS comes with many useful applications pre-installed such as Microsoft Office apps, Chrome, Gmail, Facebook, Twitter, Pinterest, Evernote etc. 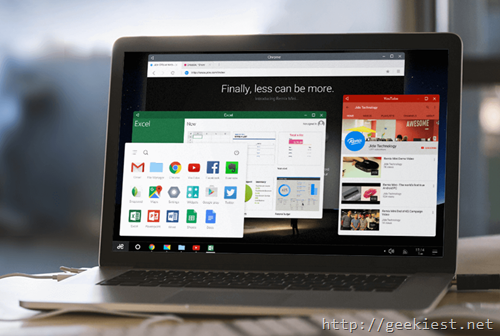 Remix OS, a portable Android Operating system for Windows and Mac is available for download.